If you haven’t checked out Ruffled, it is a must visit wedding blog full of fabulous wedding ideas! 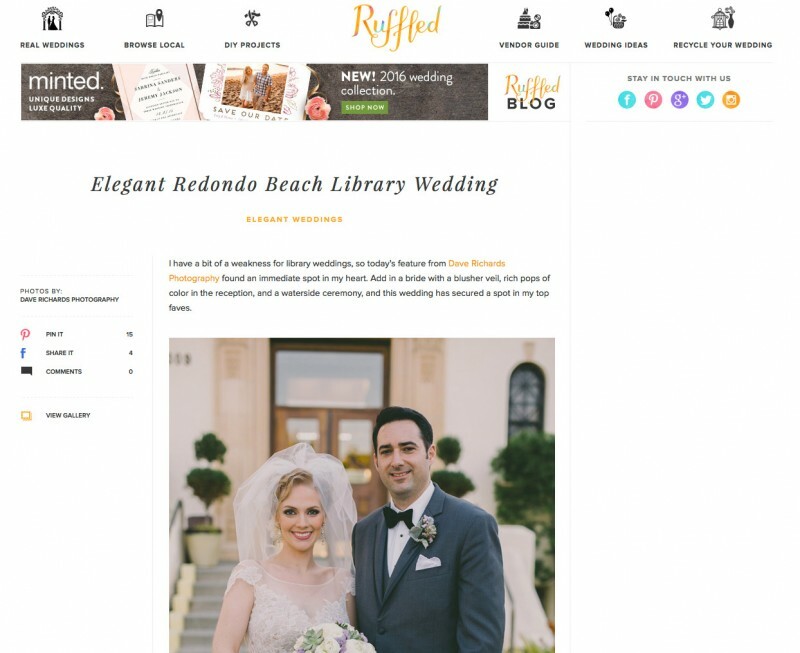 We are excited to say that they have featured Elizabeth & Brandon’s wedding at the Redondo Beach Historic Library. You can check out all of the fun details plus notes from the bride on Ruffled plus more photos from the wedding day on our original blog post.